Arizona State University’s new, official crowdfunding platform is helping faculty and student researchers find support for unique and socially beneficial studies. Crowdfunding is becoming increasingly popular to help incubate and develop novel ideas. More than half of all adolescents and teens have been bullied online through rumors, threats, hacked accounts, sexually suggestive content and other damaging behaviors. But well over half of these victims never tell their parents about the abuse. BullyBlocker, a new tool being developed by Arizona State University faculty and students, analyzes Facebook data for signs of cyber-bullying and alerts parents that it may be occurring. The project was originally conceived by Yasin Silva, an assistant professor in ASU’s School of Mathematical and Natural Sciences, and Lisa Tsosie, an undergraduate studying applied computing in the school, which is part of the New College of Interdisciplinary Arts and Sciences. Tsosie earned a Google Women of Color Scholarship to present the project at this year’s Grace Hopper Celebration of Women in Computing. BullyBlocker is the first of several ASU research projects kicking off crowdfunding campaigns this month. The campaigns are part of ASU’s new, official crowdfunding program, managed by the ASU Foundation for a New American University. Several student ventures have already launched campaigns through the program. Now, the Office of Knowledge Enterprise Development (OKED) is managing a new effort for faculty research, kicking off a rolling pilot period in December through the new year. Crowdfunding is a means of securing financial support by helping individuals tap into their networks through the Internet. While a lot of research funding relies on receiving large amounts of money from a single donor, crowdfunding campaigns usually succeed through small donations from many individuals. “OKED is excited to make available new opportunities for funding the research efforts of faculty and students. Crowdfunding is becoming increasingly popular to help incubate and develop novel ideas. We look forward to advancing several new ideas from our faculty and students through this innovative funding opportunity," says Sethuraman “Panch” Panchanathan, senior vice president of Knowledge Enterprise Development at ASU. By running their campaigns through this program, researchers receive training on effective fundraising and coaching throughout the campaign, can use the ASU logo and branding, and can allow donors to claim their contributions as a charitable donation. Understanding how living creatures – including humans – function requires us to see what’s happening beneath the surface, often at a microscopic scale. In the past, this kind of research meant harming or even killing the subject being studied. A group of ASU undergraduate students is using cutting-edge imaging techniques to study novel or abnormal bones, muscles and other tissues without harming the subjects. The students work in the lab of Lara Ferry, an associate professor in the School of Mathematical and Natural Sciences in the New College of Interdisciplinary Arts and Sciences. They have chosen to study tiny fish no bigger than a finger. Fish are vertebrates, like humans, but have a huge degree of diversity. Fishes can provide a lot of information about bones, joints and muscles. For example, they have more than 100 separate bones in their heads and dozens of mobile elements, as opposed to the one moving element – the jaw – in people. The team uses microMRI (magnetic resonance imaging) and microCT (computed tomography) to visualize small structures beneath the skin on live specimens. This campaign will launch on December 20. 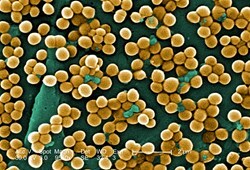 Each year in the United States, at least 2 million people become infected with bacteria that are resistant to antibiotics. At least 23,000 people die each year as a direct result of these infections. As germs adapt to the drugs we use to fight them, such drug-resistant diseases are on the rise. Chris Diehnelt, an assistant research professor in the Biodesign Institute’s Center for Innovations in Medicine, is leading a campaign to raise funding to study new, potentially more-effective antibiotics and pharmaceutical responses to infections and diseases. This campaign will launch in late December. Research conducted at ASU shows that people who learn to seek forgiveness for their own harmful behavior, and those who learn to grant forgiveness to others, report improvement in their personal well-being. The Forgiveness Tree Project, led by Vince Waldron, seeks to provide forgiveness education in schools and community centers to help participants develop empathy and compassion and learn to let go of bitterness and grudges. Waldron is a professor in the School of Social and Behavioral Sciences in the New College of Interdisciplinary Arts and Sciences. His team is pilot testing the Forgiveness Tree ceremony, which teaches the “what,” “why” and “how” of forgiveness. As part of the ceremony, participants write what they have learned about forgiving others and themselves on paper “leaves,” which they share anonymously on a symbolic tree. This campaign will launch in January 2014. You can see all of ASU’s crowdfunding campaigns, powered by the USEED platform, at asu.useed.net. Because contributions are made through the ASU Foundation, a nonprofit organization that supports ASU, donations may be considered charitable contributions. If you are an ASU researcher interested in raising money through USEED, contact Kathryn Scheckel, assistant director of special projects for OKED, 480-965-9293. If you are an ASU student or staff member interested in crowdfunding, please contact Shad Hanselman, senior director of the Office of Annual Giving at the ASU Foundation, 480-965-0516. These images of a fish catching its prey were captured using high-speed video recording at 500 frames per second. The action, which is otherwise nearly undetectable to the naked eye, is an example ofThese images of a fish catching its prey were captured using high-speed video recording at 500 frames per second.